“A brand is a promise made, a great brand is a promise kept.” – Sue Eagleton. Celebrating its 25th birthday this year, Technical Finishes is growing with purpose, aiming to continuously improve the business and innovate to deliver high-quality products through excellent service. Looking ahead, the business sees its purpose as “being an industry leader with integrity, honesty and reliability through a vision of sustainable focus on customer satisfaction, employee development, and company and stakeholder growth”. This encompasses the input of all stakeholders. Being environmentally responsible is another key value for Technical Finishes and the company has committed to support the United Nations’ Sustainable Development Goals. Main focus areas for the company are the environment, its community and education. 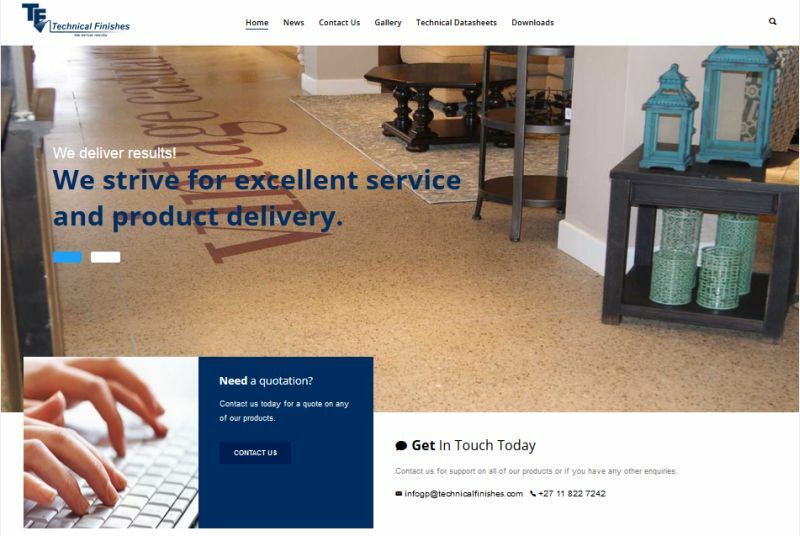 In an effort to streamline its information supply, Technical Finishes has updated its website with a simplified menu to make navigation quicker. Its technical data sheets are easy to obtain through a downloadable application that is readily available from the Google App Store. Information is also communicated through various social media platforms such as Facebook and Twitter.